As Queen Letizia of Spain has grown into her royal role in recent years, we've seen her embrace more and more heirloom jewels. 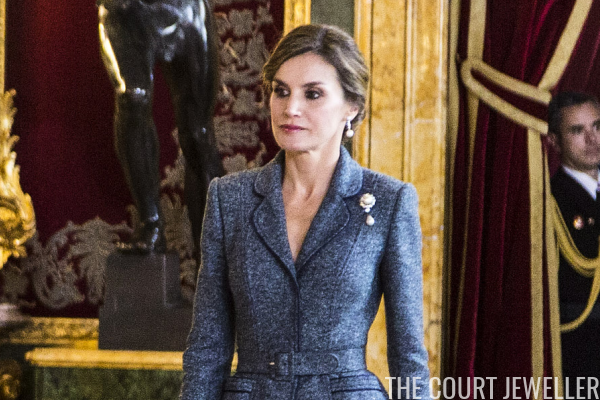 Today, we've got a closer look at a brooch she debuted last year: the Countess of Barcelona's Pearl Drop Brooch. The lovely diamond and pearl drop features a large central pearl and diamond cluster, from which is suspended an additional round diamond and a pear-shaped pearl drop. The piece was a gift to the Countess of Barcelona, mother of King Juan Carlos of Spain, for her wedding in 1935. 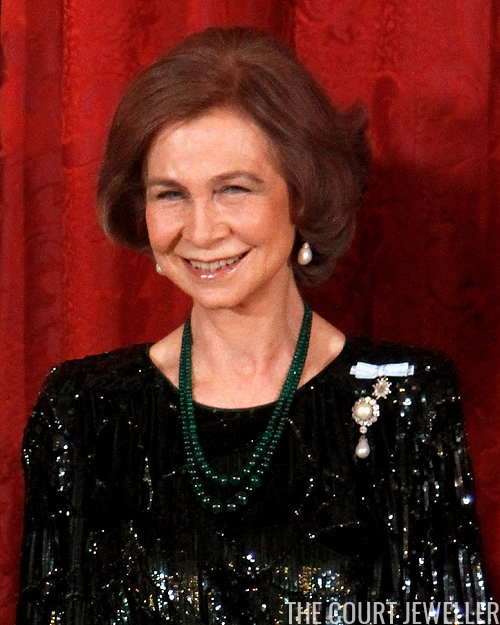 The brooch has long been a favorite of Mercedes's daughter-in-law, Queen Sofia of Spain. She often wears it for receptions and dinners that are not tiara events. 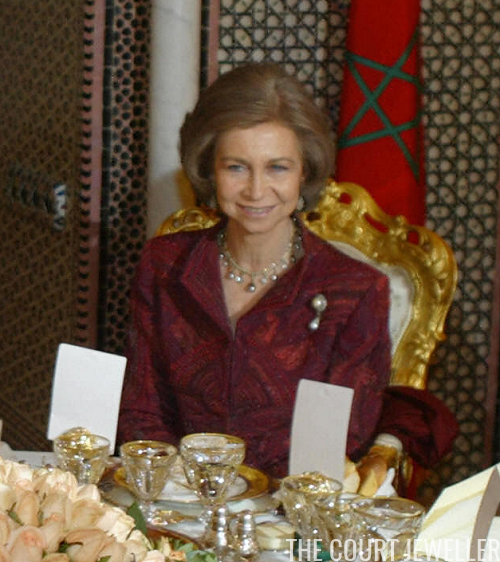 Above, she wears the brooch in January 2005 at a gala dinner during a state visit to Morocco. 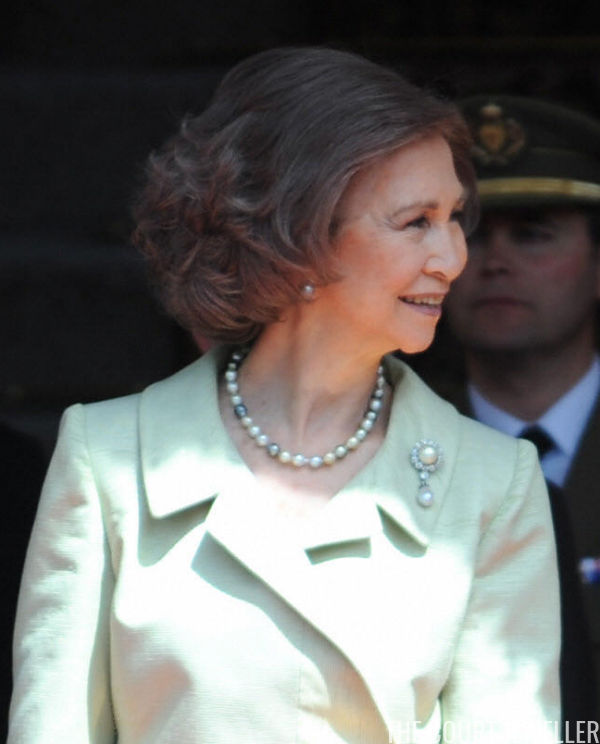 In April 2011, Queen Sofia wore the brooch at a dinner at the Royal Palace in Madrid given for the Emir of Qatar. She has also used the brooch for important daytime occasions. In April 2008, she chose to wear it for a military review outside parliament in Madrid. 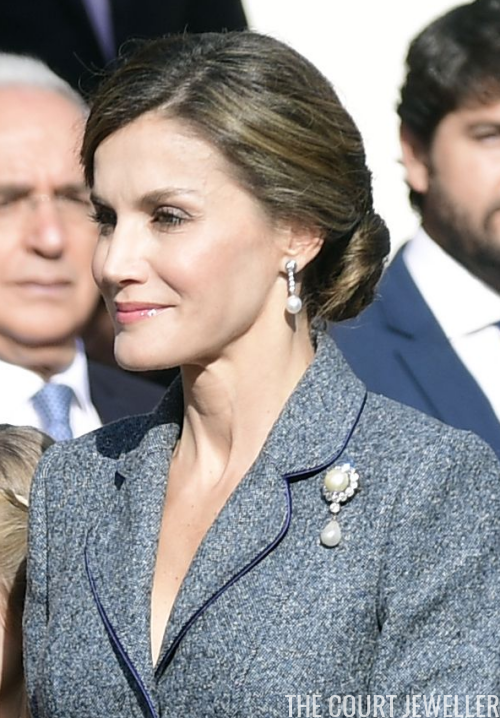 Queen Letizia's debut in the brooch came in October 2017, during the country's National Day festivities in Madrid. 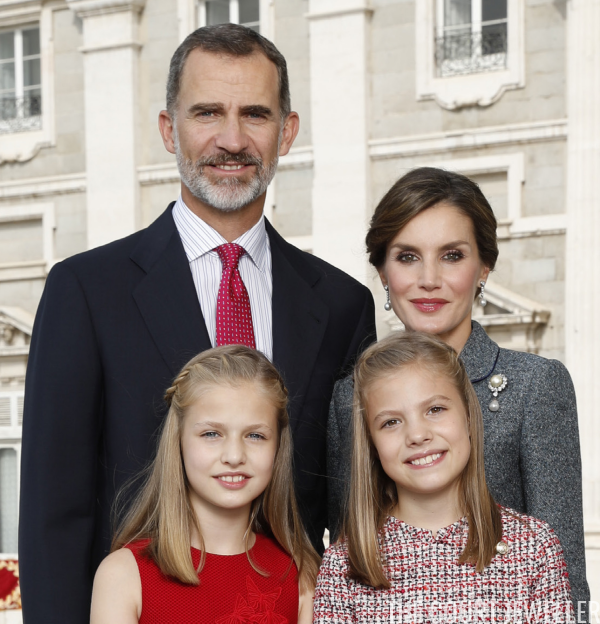 A photo of Letizia wearing the king's grandmother's brooch on National Day even made it to the family's Christmas card this year.